A planned £300 million extension at Meadowhall shopping centre has been put under review amid huge upheaval in the retail sector. British Land, the site's joint owner, has taken the 'Leisure Hall' back to the drawing board in a bid to cut the number of shops within the scheme, putting more emphasis on food, drink and other activities. Talks are under way with Sheffield Council and an amended planning application is likely to be submitted. Under the original proposals, a new 330,000 sq ft multi-level wing with a distinctive, latticed glazed roof was to have been built on the centre's car park, containing restaurants, a cinema, a gym, entertainment facilities and space for events, as well as around 25 retail units. The expansion - thought to be one of the biggest investments in Sheffield in a generation - was granted permission by the council in September 2017, but 14 months on there has been no sign of any construction work. 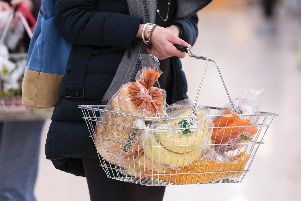 Claire Barber, head of central London retail and Meadowhall for British Land, said: "What we're trying to do - and this is part of the review we're undertaking at the moment - is look at how we can amend the current plans to take out some of the retail, but still develop the leisure, food and beverage. I think it will change, but it will change to reflect the fact there's less retail space within it." Meadowhall opened in 1990 and was created on former industrial land after the big steel factories which once dominated the Lower Don Valley fell into decline. According to a 2015 report by PricewaterhouseCoopers, over the past 25 years the mall has contributed £4.4 billion to the city region, generating a further £1.9 billion for the wider UK economy. In 2017 a £60m refurbishment was completed at the centre, creating four separate districts and developing double-height stores for brands such as All Saints and Hollister. The likes of Michael Kors, Flannels and Joe Browns - an online firm branching out into its first physical outlet - also joined the mall for the first time. In addition, £40m was pumped into shop upgrades by companies including Apple, bringing the combined investment to £100m.